I’m not the best athlete in the world. I’m not the greatest singer or the most amazing artist. I’m not a well-renowned historian, nor have I written the next great American novel. I have not discovered the cure for cancer and I probably won’t ever dance with the Moscow Ballet. But love what I do. I love how it makes me feel when I work hard, accomplish my goals, and master my craft. I may never be famous for it, but I have to do it. It’s part of me. And that part of me must be shared. I teach because I can’t do anything else. I can’t do anything else. Nothing else fuels the passion in me for the craft that I love– nothing fuels it like sharing it. I don’t do it for the money or the time off, or the late nights spent working on lessons or creating new ways to help you learn. I do it because maybe, just maybe, you’ll find that what I love, you love, too. I teach because I want you to love. I teach for the moments when your eyes light up because a fire has been sparked within you. It’s the same fire that burns in me. I teach for the smiles, the laughter, the joy– my reactions to your learning, shared with you at your own accomplishments. I teach because my heart aches for you to engage– for you to develop a sense of self through the discovery of doing what God created you to do. I teach because it’s fun. I teach despite the naysayers– those who give voice to the idea that teaching, in any capacity, is easy. I teach despite the laws, regulations, and codes that tie my hands, rendering me to often feel ineffective. I teach despite the long days, constant training, and never-ending paperwork. I love my craft; my area of expertise. But more than that, I love you. I love it when you are a blank page, ready to be inscribed with the knowledge you will need to conquer the world. 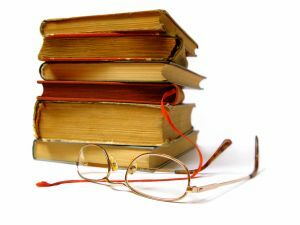 I love it when you are a closed book–difficult and moody– you challenge me, and I never back down from a challenge. I love it when you respond to what I’m teaching– when I see you growing and changing before my eyes. I love it most of all when you realize that I do what I do because I love you. I want you to grow. I want you to find what it is you are passionate about. I want you to work harder, be better, achieve more, and do things– things I’ll never do. I want you to be better than I could ever be. I teach because what I love requires that to be brilliant at it, I love those who want to learn. And so I push myself. I push myself to be better and faster and stronger and smarter– for you. I push myself to do more and be more and achieve more so that you will be greater. I continue to learn and develop new techniques and master my craft for the sole purpose of sharing it with you. But I remind myself that you are not me. You might not love what I love. You might not respond to me the way I hope. You might not understand that when I look at you, I see a person perfectly created by a great and mighty God. But I will continue to teach you, praying that this God-given passion that drives me gives me the opportunity to show you a glimpse of what I love, and if nothing else, let you know that you can be passionate about something–anything–too. Above all, that’s what I want you to find–something you are passionate about. So passionate that you must share it with someone else. So I teach because, by the grace of God, I can. It’s the Christmas season, which means not only are you shopping for friends and family, but also for all the teachers in the lives of your children. School teachers, Sunday school teachers, extra-curricular activities teachers, even coaches! Yep, they are probably all on your list. 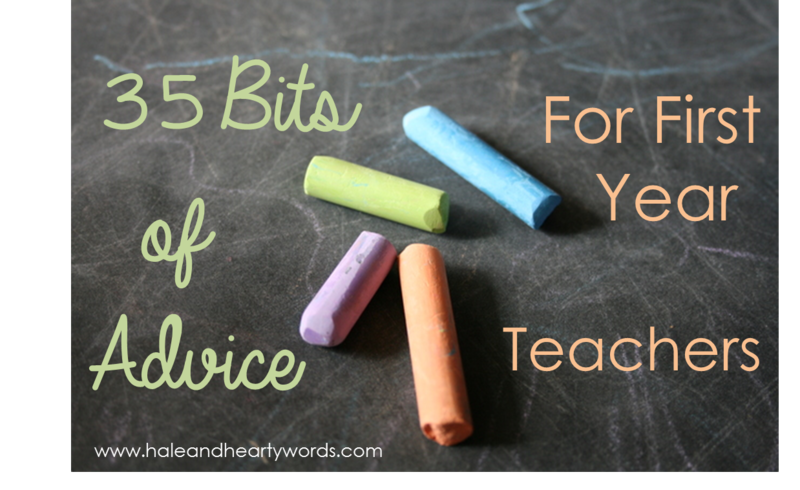 Seeing as how I am married to a teacher and I was a teacher myself, I’m pretty sure that I am an expert in the area of “Teacher Gifts.” So let me help you out this year. I wanted to do something special for my son’s teacher, but we live on a budget, so what did I do? I turned to Pinterest, of course. From there I was inspired, added my own touches, and came up with the Twelve Days of Christmas for Teachers. The original inspiration came from this site, but I changed some of the gift choices and created my own gift tags. Each gift will be wrapped and sent with a little note that includes a poem about that day’s item. Sometimes you just might have to use glue! None of the gifts included in this project cost me more than $5 each. 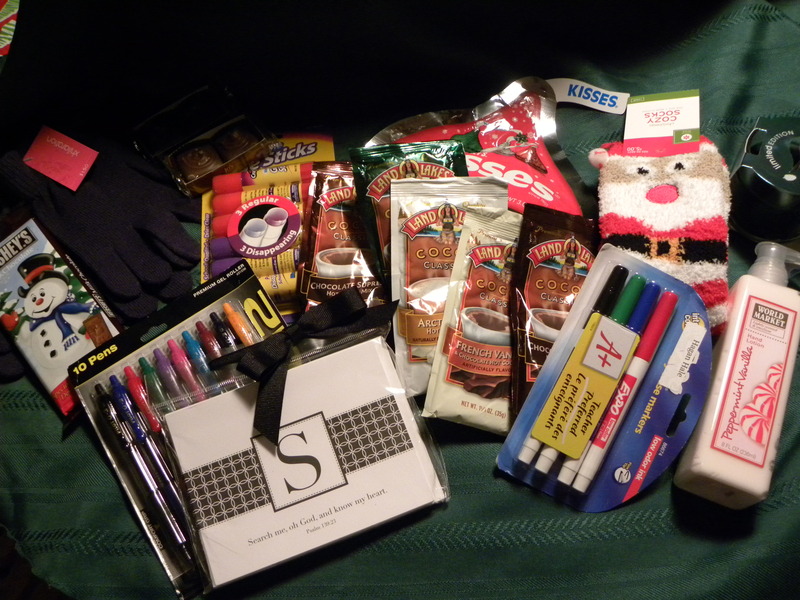 While some of the gifts match the number of the day that they are on (5 packages of cocoa for day 5, etc), not all of them do. That’s okay. As long as the poem you send on that day makes sense, it’s all good. I went to the dollar store to purchase cute little gift bags (25 for $1). Add tissue paper and some ribbon, and each day holds a special surprise. 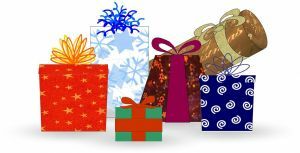 Your child can deliver a gift every day for 12 days, or you can package all of the items together into one large gift. I plan to let my son deliver a daily gift. To use the gift tag poems I created, click below. This is an example of the gift tag with poem. ** Keep in mind that my son goes to a Christian school, so some of these poems do mention the Bible and God. School supplies and items that can be used in the classroom are helpful because many teachers have to spend money from their own pockets to keep supplies in their classrooms. Computer paper is always great because it’s often not supplied by the school, and teachers print a lot of stuff. If you have an “about me” page from your child’s teacher that includes things like favorite food, favorite candle scent, favorite restaurant, etc., don’t ignore that. Those papers are supposed to make your shopping life easier. For example, I know that my son’s teacher really likes Hershey’s chocolate, so I made sure to include that in the 12 Days. If you have a little more money to spend, gift cards to movies and restaurants are ALWAYS appreciated. If you really want to go all out, think a gift certificate for a spa day or a gift card to the mall or a clothing store. Personalized stationary makes a great gift. Notepads or cards are great for sending notes home to parents or just jotting things down at school. A nice pen is also a great gift. Teachers write. A lot. Try to be intentional. Don’t go for the easy “apple”. 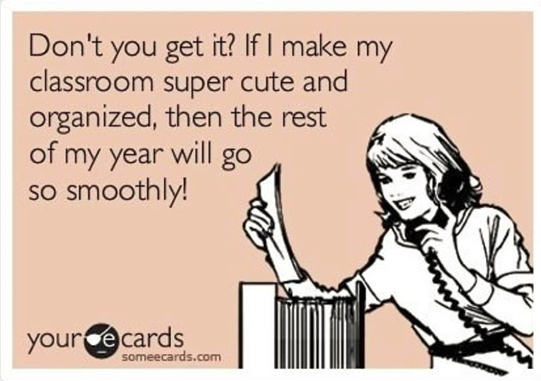 Look for something that would make that teacher smile, like a desktop joke calendar. Have your child write a note to the teacher expressing some kind personal thoughts about him/her. 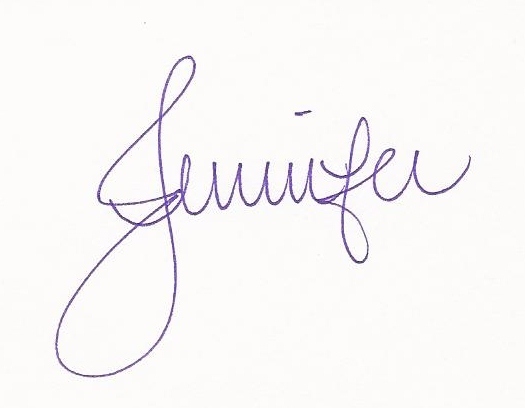 Many teachers save notes like this, especially as your child ages and the notes become fewer and farther between. I taught high school, and I still have a box of personal notes from students. They make my heart happy. ANY KIND of jewelry or clothing, etc., that has an apple, a bus, a pencil, or any other teaching paraphernalia on it. Don’t do it. It’s not as cute as you think it is. Ornaments. An ornament can be a nice gift, but teachers get a lot of ornaments. If you go for one that’s personalized or represents something special about that teacher, then it might be okay. But referring above, do NOT go with a school bus, a pencil, or an apple. Or an ornament with your kid’s face on it. See below. A framed photograph of your child. No offense, but teachers are just like you– they don’t want random photos in their homes, and they certainly can’t display framed photos of your kid at school. Favoritism much? Homemade goodies. Again, teachers tend to get a lot of these. More than they can eat. Most of it ends up in the trash. I wanted to do something cute for some of the other teachers in my boys lives, and once again, Pinterest inspired. 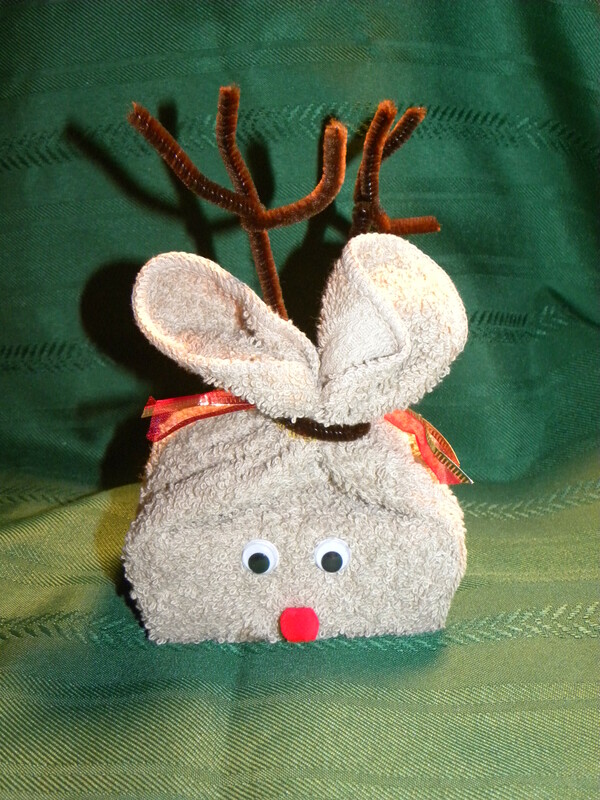 I decided to make these adorable Soap Reindeer. Made out of washcloths, there’s a gourmet bar of soap inside each one. Cute, affordable, and still a treat. I purchased the bars of soap at World Market ($3.99 each), where I happened to find peppermint vanilla fragrance. Perfect. I also had to purchase the washcloths, googlie eyes, pipe cleaners, and red Rudolph noses. The entire gift was under $6.50 per person. The original idea and tutorial for making them can be found here. Also included on that site are cute poems for the gift tag for this present. I hope these ideas will help you this season! Share with me: What cute or creative gift ideas have you found (for anyone) this season?